Today is day 314 out of 365 days in this (non-leap) year. In geologic time, November 10 represents approximately 629 million years ago. That puts us in the Vendian, the latest portion of the Proterozoic eon. What’s significant about the Vendian? 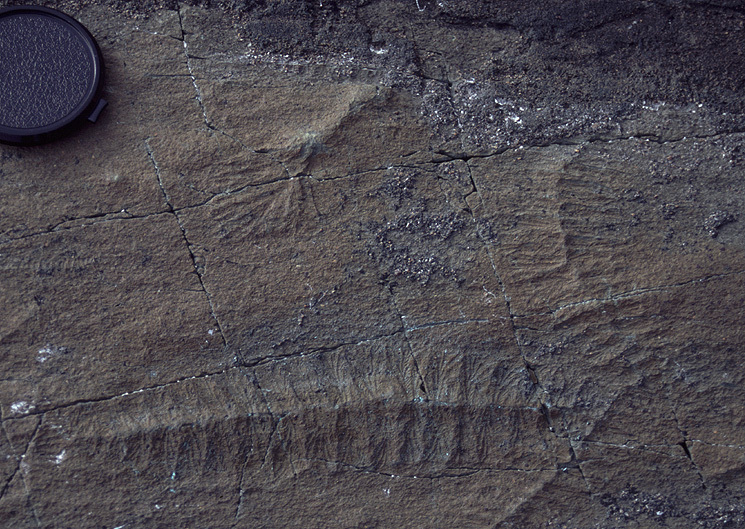 Some rocks of this age, known most famously from the Ediacara Hills north of Adelaide, Australia, contain the earliest clear fossil evidence of multicellular animals; they indicate that these organisms, for the first time in earth history, have become a significant life form. Spindle-shaped, long and pointed at both ends; branching, tree-like or network-like structures; large, round, disc shapes; lumpy cabbage-like figures; and, frond-like leafy forms—some with stalks; these fossils are the remains of soft-bodied organisms that lived in the sea and whose likeness to younger life remains obscure. Furthermore, geoscientists understand poorly their modes of life and their evolutionary relationships. Because they are typically large and flat with lots of external surface area, and therefore looking radically different from any known living animal, some paleontologists have assigned them to a completely separate kingdom of multicellular life! 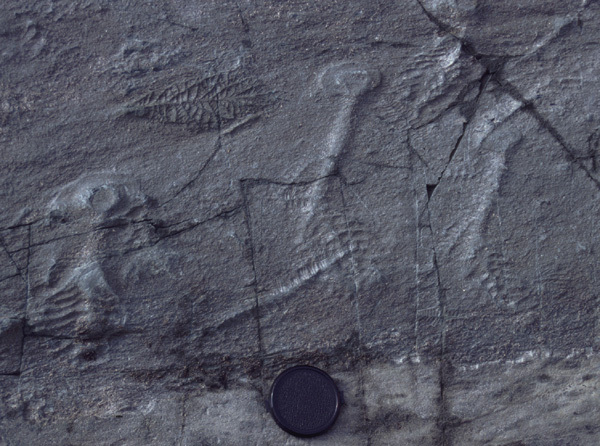 Rocks along the White Sea coast of Russia and at Mistaken Point, a craggy, wind-swept promontory on the southern coast of the Avalon Peninsula in Newfoundland, also contain this type of ‘Ediacaran’ fauna. The idea that these fossils may represent another way of making a living, biologically speaking, —carrying out their bodily processes through one large external membrane— has inspired healthy scientific controversy.